American Blacjack - Play American Blackjack Online. Blackjack is the most popular casino card game in the world of offline, online and mobile gambling. Nowadays blackjack fans can play many different variants of the game. Most of the general rules apply to all variants, but they slightly differ from one variant to another. The object of blackjack is to get a hand higher than that of the dealer without going over 21. One well-known variant of blackjack is American Blackjack. It should not be confused with other country-specific blackjack variants like European Blackjack because the rules are not the same. Read the article to learn more about American Blackjack, some winning tips and where to play the game online. Just like all blackjack variants, the objective of American Blackjack is to get a hand closer to 21 or 21 exactly before the dealer. Players are dealt two face-up cards, while the dealer is dealt one face-up card and one face-down. Players decide whether to draw another card or not, split hands or take insurance. American Blackjack uses 6 decks of playing cards and they are reshuffled after each hand. Players are allowed to split a hand only once. They can split a pair Aces and will be dealt one card for each hand. They cannot re-split Aces. In American Blackjack you cannot give up your hand and half of your bet or surrender after the dealer peeks for blackjack. Players can Double Down on any two cards and they can also double their bet after splitting a hand. American Blackjack is a hole card game, therefore, the dealer checks for blackjack if his/her up card is an Ace or a 10-valued card. The dealer always stands on soft 17 and above and draws another card if he/she has 16 and below. Blackjack is paid 3 to 2, while Insurance bets are paid 2 to 1. The house edge of American Blackjack is 0.29%. – If the dealer has a 3, 4, 5 or 6 and you have an 11 and lower or soft 17 and lower, then hit your hand. – Stand on 17 and higher or soft 18 and higher if the dealer has 7, 8, 9, 10 or an Ace. – If the dealer’s up card is 8, 9, 10 or an Ace split a pair of 8s or a pair of Aces. – Double Down if the dealer’s up card is anything except an Ace and your first two cards total 11. Blackjack fans from around the world can play American Blackjack online at Internet casinos. 888 Casino, for instance, offers American Blackjack. The minimum bet of the game is $1, while the maximum is $1,500. The game can also be played in multi-hand format. Other reputable and safe online casinos where you can play American Blackjack are the multiple-software powered Mr. Green Casino and Video Slots Casino. American casino players can also play the game at US-friendly online casinos. 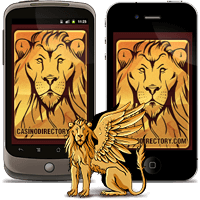 One such casino is Drake Casino powered by Betsoft Gaming. The casino offers high quality gaming action and great support and service.